The decision whether to change the Redmen name has been delayed. Photo Elaine Genest. 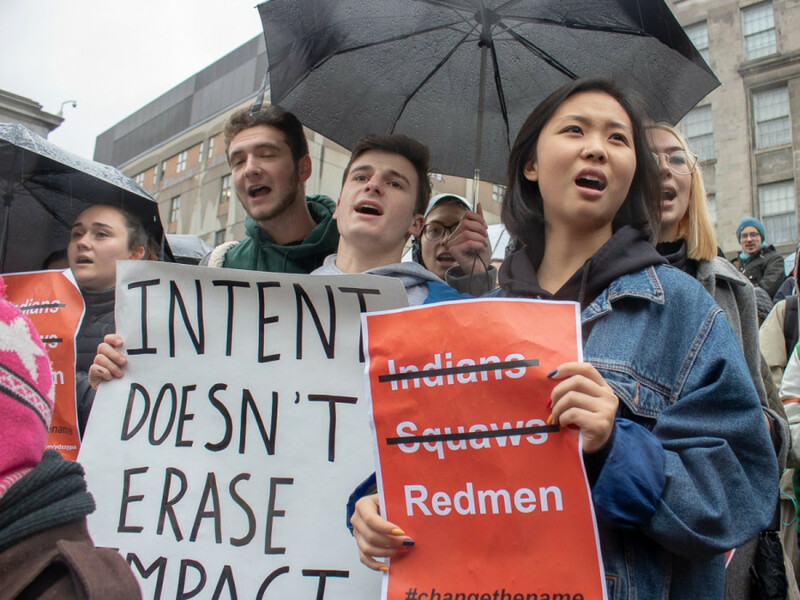 In light of the decision to postpone the ruling on the Redmen name, the Student Society of McGill University responded in a statement on Friday. On Jan. 30, McGill university’s vice-chancellor and principal Suzanne Fortier, who is tasked with making the final ruling on the name change, wrote in a statement that a decision will be made “by the end of the academic term,” instead of January 2019. “It’s a disservice to the notion that McGill is fully committed to ‘pursuing an unedited truth, about its historical and contemporary relationship with First Nations, Metis and Inuit peoples to meaningfully inform its goal of reconciliation,’” continued the statement. Last November, over 58,000 students participated in a referendum vote, whereas 78 per cent voted in favour of the name change. The reason for the postponement comes after Fortier received a number of messages regarding the team name. Fortier said she will take time to consider the messages that she’s received before making a final ruling. “It is important for me to read, understand and reflect upon all the comments and points of view that have been expressed, and give them the level of consideration and respect with which they were shared,” she said in the statement. A decision is set to be made by the end of the winter semester, which officially ends on Apr. 12.